O2 is the commercial brand of Telefónica UK Limited and is the mobile network operator with the highest customer satisfaction in the UK according to The Institute of Customer Service. O2 was also awarded Best Network Coverage in 2018 by uSwitch. With over 25 million customers, O2 runs 2G, 3G and 4G networks across the UK, as well as operating its nationwide O2 Wifi service. 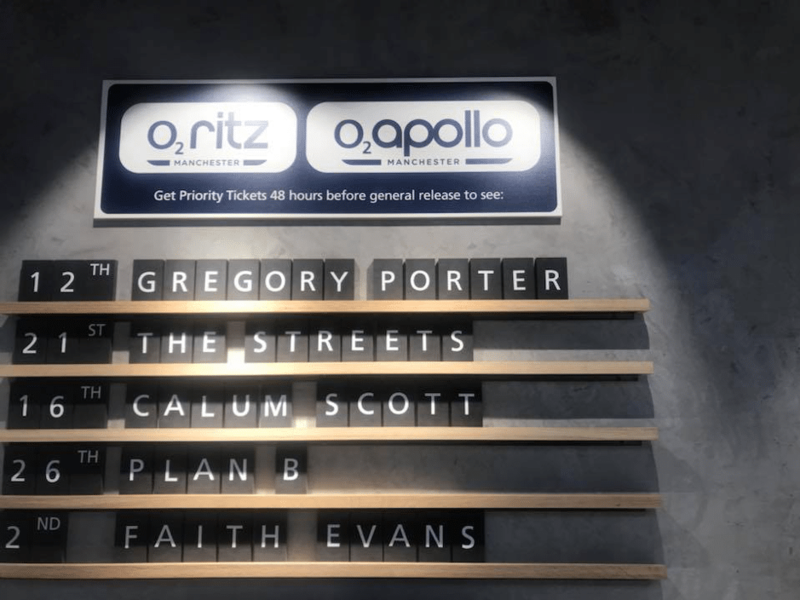 Priority is an exclusive app for O2 customers which provides great offers from high street brands, tickets and experiences, as well as access to the best in entertainment. O2 currently maintains over 450 retail stores across the UK which reach all the way from Penzance to Elgin in Scotland. 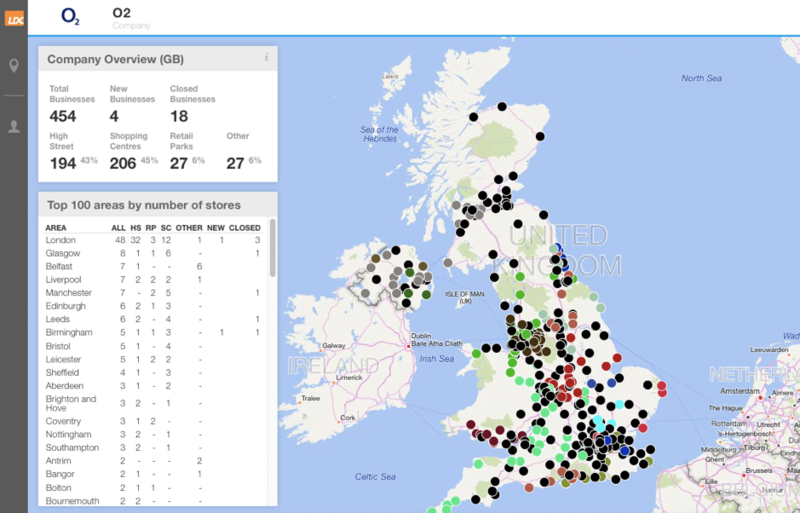 The Local Data Company began working with O2 in 2010, when they started to utilise their uniquely rich and accurate data on current and potential store locations. Since then the relationship has gone from strength to strength, with O2 now working with the Local Data Company's entire retail database as well as using a bespoke version of their insight analysis platform, developed especially to support O2’s retail development function. Before working with LDC, O2 found it challenging to obtain and maintain retailer address information in current and potential locations and were reliant on external sources including websites which may not be up-to-date and may contain inaccuracies in a rapidly changing market. Aggregating this data was a drain on internal time and resource for the business and they needed a way of accessing data which was more accurate, comprehensive and updated regularly. The introduction of LDC’s data and systems meant that store lists could be easy accessed and the team at O2 had more time to focus on other value-add projects and initiatives. Initially, LDC was able to provide a range of dynamic datasets of retailers store list by location at the click of a button which were physically created, verified and tracked on an ongoing basis by a team of field and desk researchers. This ready availability of data meant that O2 could access any store lists and store address information without the need for a dedicated analyst resource. Data can also be mapped and visualised easily by the team with one click. The team at O2 then started looking at a host of other metrics which were also available through access to LDO, LDC’s online location data platform. These included store vacancies, percentages of retail stock by category and the make-up of the retail provision for towns and cities across GB. This allowed O2 to identify trends in the market, supporting other teams within the business with estate planning, acquisitions, relocations and closures. O2 are also able to view more and more historical information on locations, to gain a better understanding of the trajectory and health of each high street, shopping centre or retail park across the UK. How is O2 using the data today? O2 and LDC have now been working together for 8 years, and have recently extended the working relationship. The team at O2 now use a bespoke dashboard on the LDO platform, which has been developed in conjunction with O2 to meet their specific requirements. LDO is used by the Stores Property team, Territory and Regional Leaders, and senior Store Management teams. One of the most valuable aspects for O2 is the ability to instantly access a map of all of O2’s stores and key internal data quickly and easily without any technical system knowledge required by the users. O2’s retail estate is comprised of company owned stores and franchise stores with a number of franchise partners. Having a single source of truth for the estate is invaluable for activities such as territory planning, understanding the catchment area of each store to support estate strategy planning. O2 use LDC data to drive their retail estate activities, which is a critical part of its business. Physical stores play a role in facilitating excellent customer service (including initiatives such as O2 Gurus), showcasing new technologies, products and services and developing the omnichannel presence for O2. O2 use a variety of metrics reliant on LDC data to identify suitable locations for their stores. Not only do O2 use the data to identify new locations, but O2 also use vacancy and churn data to understand in which locations O2 are more likely to be able to acquire a unit, which enables O2 to prioritise their target list based on the locations O2 are most likely to find available space. Having access to the location and address data of retailers across the UK also allows O2 to analyse and assess other potential opportunities. This could include acquiring stores from other retailers that are moving or closing, assessing potential partners estates against O2’s estate to understand the potential of such partnerships and monitoring general retail trends to ensure O2 remains abreast of all current retail developments. This enables them to monitor market forces and understand which retailers are expanding/shrinking their estates and how this could have a knock-on effect for O2’s potential presence in that location. Due to a constant schedule of updates, the proprietary data and insight platform provide a close-to-live stream of data, enabling LDC’s clients to access the most accurate information available. Records are also time-stamped so that all customers know exactly how up-to-date the data is that they are using. Working with LDC, O2 teams can be confident that they are using the most accurate picture of the market possible to drive estate investment decisions. Alongside this, the ability to export raw data files from the system has meant that O2 can easily integrate rich and comprehensive LDC data with O2’s vast internal business intelligence data, turning different data sources into one, powerful source of intelligence. This enables the team at O2 to be extremely, constantly viewing their physical estate in a market that is quick to change. Another huge benefit of LDC data is access to historical information. LDC have now been tracking most centres since 2012 (some even further back) which means that O2 have visibility on long-term trajectories, which can be extrapolated and used to predict future trends.